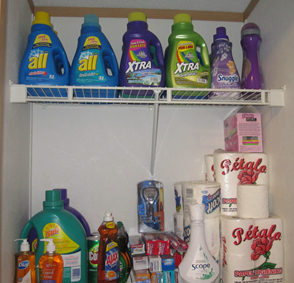 How Does Your Stockpile Look? 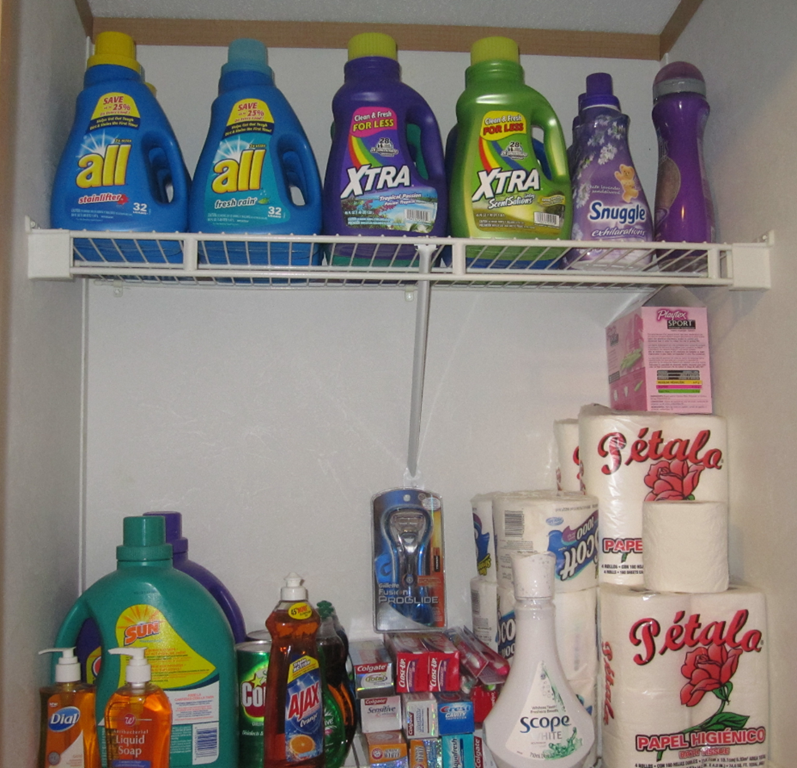 You are here: Home / Great Deals / How Does Your Stockpile Look? 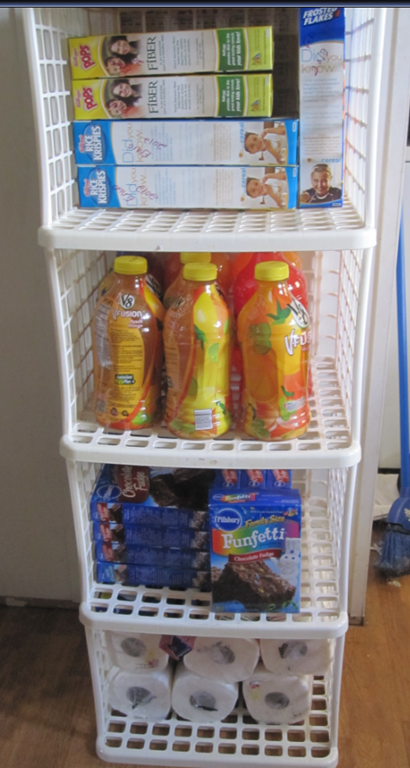 Loryss, a Grocery Shop For FREE reader, has recently started couponing and she mailed in her stockpile pictures! 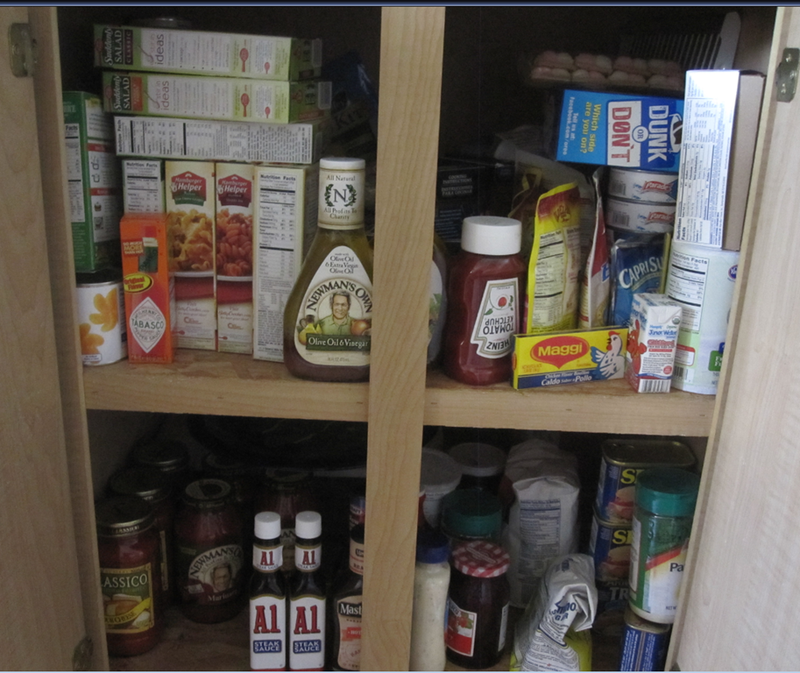 It doesn’t take long to get a good stockpile started and you can find all kinds of places to store your stockpile – even in small homes! Loryss works full time at a Pregnancy Crisis Center. I love to see your stockpile and shopping trip s and I love to hear your stories – where you keep your stockpiles, who you donate the excess to, how you do on your shopping trips! 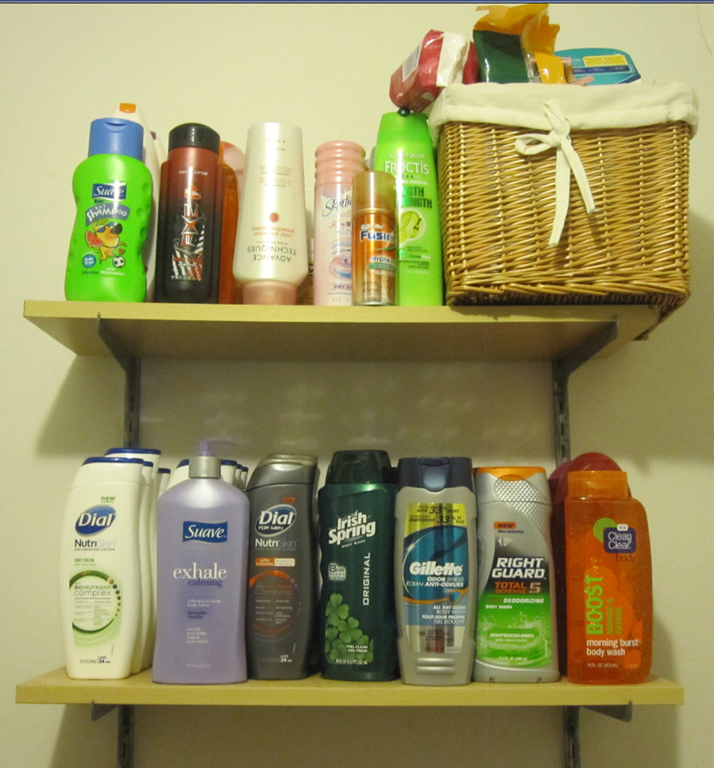 Keep sending in your pics and your stories, I love to share them, too!